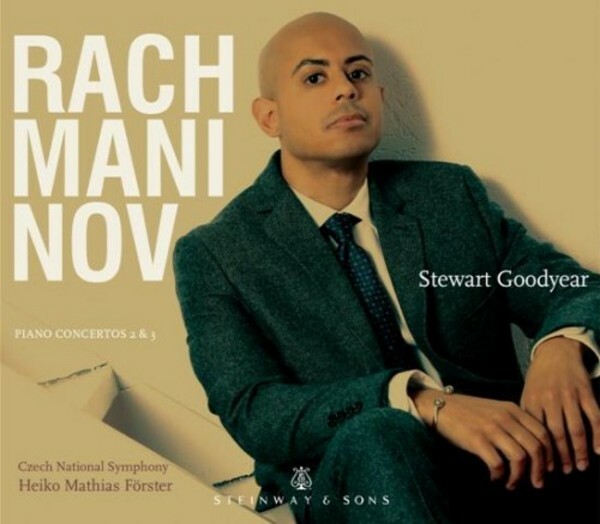 Stewart Goodyear's second release on Steinway & Sons is a follow-up to his acclaimed 2014 release of the Tchaikovsky and Grieg Piano Concertos. The Canadian pianist is a notable concert soloist and has performed with the New York Philharmonic, Los Angeles Philharmonic, Royal Liverpool Philharmonic, Toronto Symphony Orchestra and the Philadelphia Orchestra, among many others. In 2013, Stewart Goodyear gave a series of marathon performances in the US of the complete Beethoven Piano Sonatas, performing the complete cycle in a single, eleven-hour performance at each venue.